This is the week of new series on Mom Fabulous! First, I introduced you to the Best Beauty Products of the Month series – which I am still so excited about and I hope you are too. And now, I’m ready to share with you about another series titled Pin Fabulous where I’ll share my favorite recipes, crafts, DIY and home decor ideas found on….yes, Pinterest. I have boards and boards (as I’m sure you do too!) of things I want to try and never do. So this series is slightly selfish, but I hope you’ll benefit as well. This will be my motivation to actually do what I’m pinning. Crazy, crazy idea I know. Let’s get started with these 2-Ingredient Nutella Brownies. My husband and I try not to eat anything with flour. He’s so much better at self-control than I am. So I’ll eat that cookie or piece of cake or biscuit…and then completely regret it later because I just.feel.awful. I am always on the lookout for desserts and breads that are gluten-free but don’t require the GF flours. It just makes things simpler when it comes to whipping something up. I make these peanut butter cookies quite a bit, but I needed something else in my dessert arsenal. 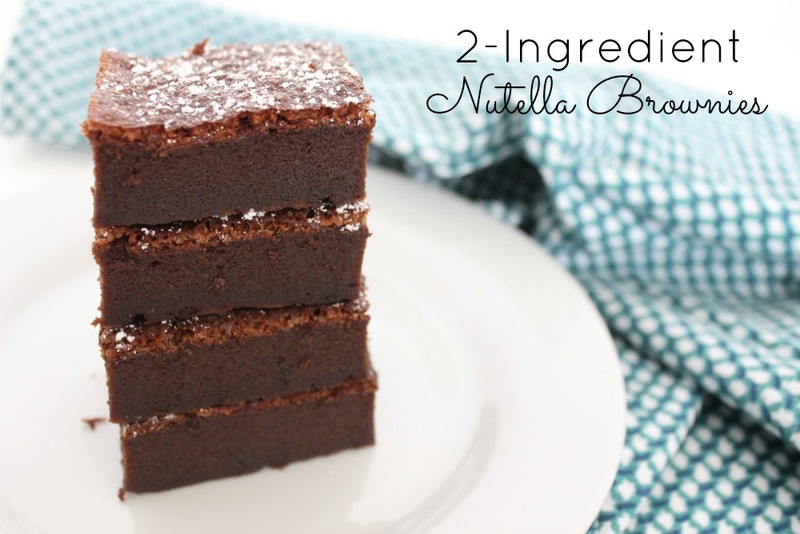 So when I saw these 2-Ingredient Nutella Brownies on Pinterest, I knew I had to try them out. Only TWO ingredients – for reals! But I do like them! 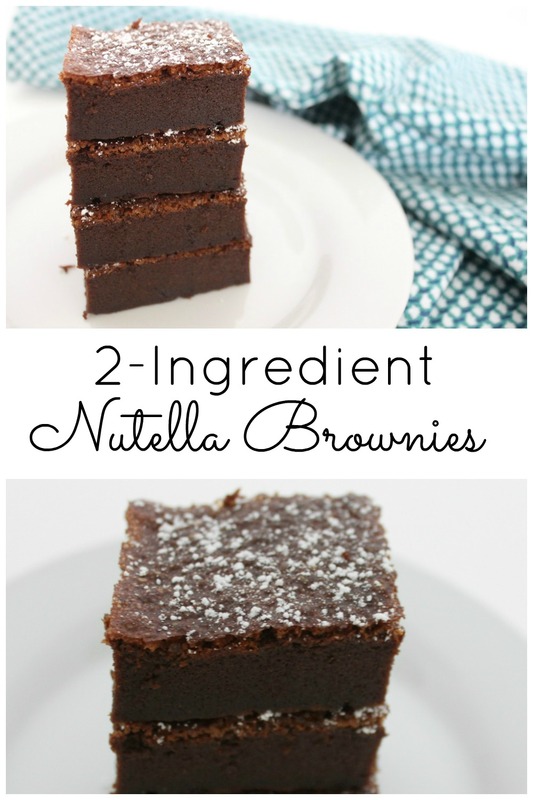 I definitely will be making these again because THEY’RE BROWNIES THAT I CAN EAT. Sorry for the all caps. As soon as my husband gets home today, I’ll have him test them out, along with my boys. You can find the recipe on HighHeelsandGrills.com. How cute is that name?! Have you tried these? If so, give me your opinion!